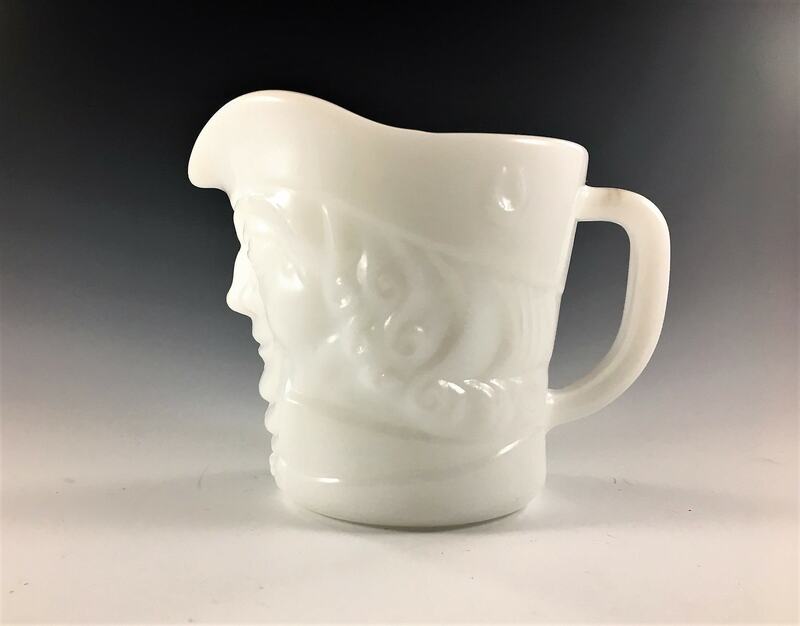 Featured is a Vintage Mid-Century 1960s original Federal white milk glass creamer with a dimensional Colonial Man design. Some people think he looks like Paul Revere or the Quaker Oats man. 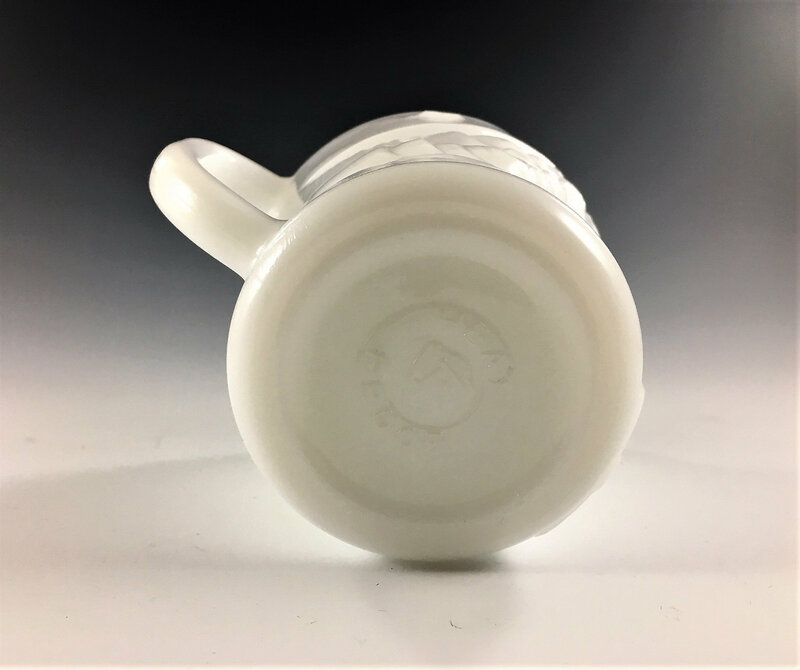 The bottom of this Colonial Man Toby pitcher creamer has the embossed Federal Heat Proof mark inside a shield (shown in the last photo). 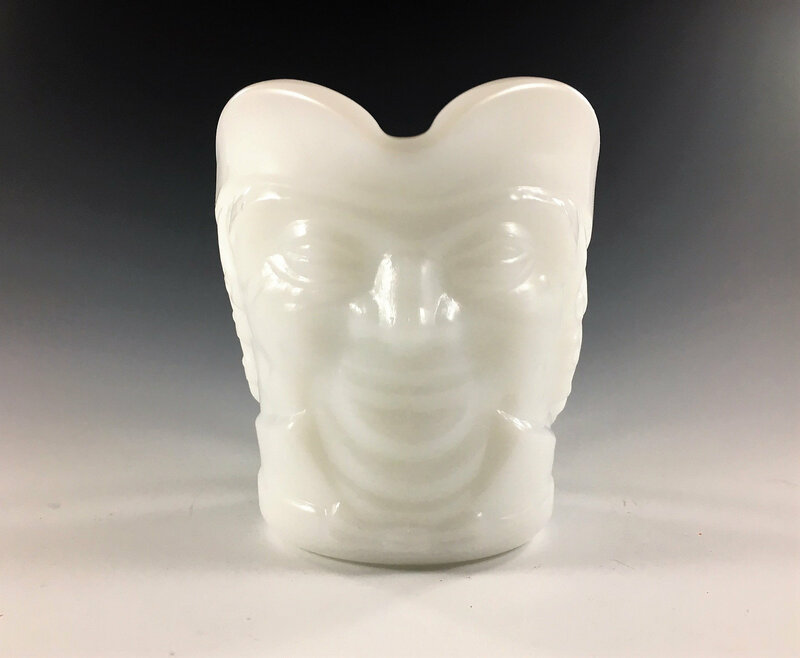 Very nice fun, cool, and kitschy collectible! 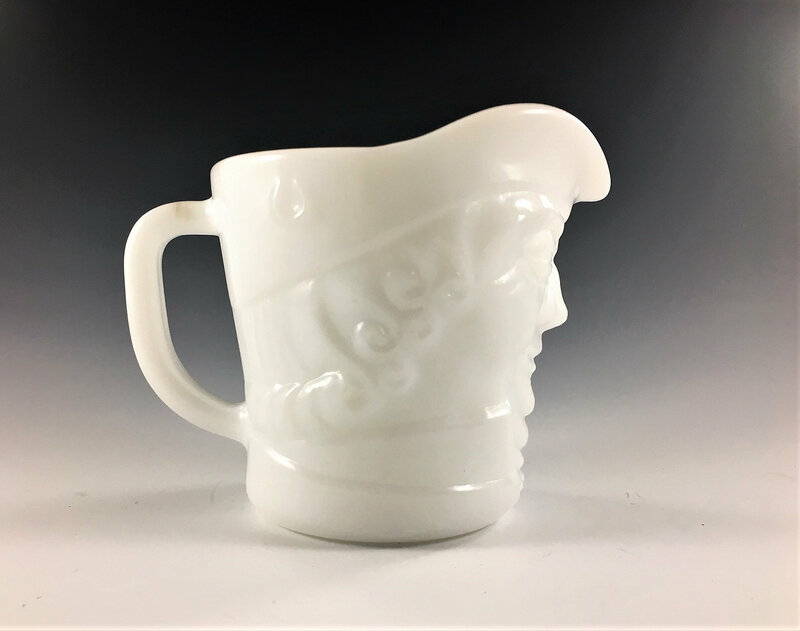 This piece is in excellent vintage condition with no chips or cracks.